As parents pack the kids off to school to become productive members of some yet-unknown future society, they trust teachers to connect with students’ minds while adding enough fun to keep the young scholars amused and motivated. Creative companies and forward-thinking schools and programs are opening up new ways to both educate and engage budding designers and engineers. The college experience is changing as well, as new methods evolve to meet the needs of graduates and the world. Emphasis on tailored learning experiences, sustainability, and real-world applications is coming to the fore. With school back in session, here’s a look back at a few of Redshift’s recent education-focused pieces in this first-ever Back to School Week roundup. One of the best ways to engage young learners is through experiential learning. Innovative UK companies such as Do It Kits and Kidesign follow an experiential approach to science, technology, engineering, and math (STEM) subjects by designing hands-on educational toys for classroom and home use. Toys-as-teaching-tools must adhere to a classroom’s rigorous curriculum while producing results. Do It Kits’ Science of Music teaches mathematics through music, educating students in concepts such as frequency, amplitude, noise, and depth as they build an electronic synthesizer. Playful and bold, Kidesign’s Densters are flexible minimonsters that help kids make forts, firing up their imaginations while instructing them to think spatially and cooperatively. With such kid-friendly names as Snella, Hoopsta, and Cheekaboo, the rubbery Densters act as fasteners, phone stands, bookmarks, doorstops, and clamps.Read the article. Advances in 3D printing and technology have an indisputable “wow” factor. But what if the nascent technology held the key to future learning? “Incorporating a 3D-printing program successfully requires cross-departmental coordination to ensure that a program can flow in a seamless manner,” writes Redshift contributor Michael Petch. “When it works, students find the abstract scientific and mathematical concepts can be applied and even refined. And those strides have lasting positive effects on future coursework, college-entrance exams, and even career prospects.” Read the article. Meet the high school interns solving real-world problems through robotics. This story introduced wiz teen Anna Nixon, the 16-year-old who gained accolades (and job offers), all while teaching programming classes at STEM4Girls and leading her school’s FIRST Robotics Competition team. Nixon offers tips on how employers can attract the best future job candidates from today’s student population. One that stands out, especially to boomer-heavy industries like construction, is plugging your industry’s resourcefulness. “You think construction is the same thing it was 20, 30 years ago,” Nixon says, “and you don’t see all the leaps of innovation that the construction industry has made.”Read the article. 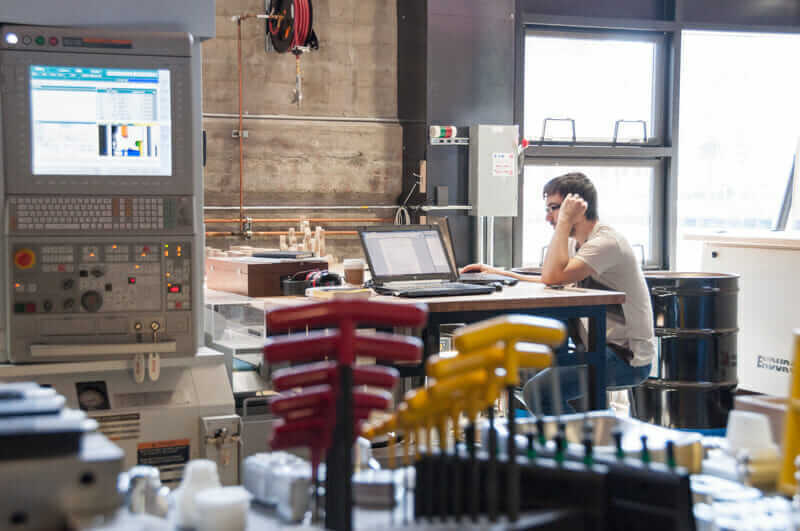 Autodesk Education Experiences leader Dr. Randy Swearer offers a passport to the university classroom of tomorrow, noting that many models for education and learning date to the Industrial Revolution. It’s clear that education must change to meet the demands of the present and the future. And the concept of grades may eventually morph into the “e-portfolio.” “Students [will] keep these e-portfolios from their first classes all the way through to graduation,” Swearer writes. “It collects all their learning in a central database that is evaluated every year by a group of faculty members. So it’s not just grades anymore. It’s important for students to learn the tools in school they’ll need on the job.”Read the article. 5. Are Today’s Grads Properly Prepared for Careers in Sustainable Engineering? Industry experts, professors, and curricula designers are working to outfit the next generation of hires with the sustainable-design skills required to meet the growing need for environmental conservation. Instead of focusing on one discipline in school, writes Kimberly Holland, future engineers must broaden their outlook and perhaps their skill set. She quotes Patsy Brackin, PhD, a commissioner at the Accreditation Board for Engineering and Technology: “What’s so cool to me is areas that are linking together. Robotics, for example, puts together science, mechanical engineering, electrical engineering, and controls. A lot of what we’re doing in sustainability is looking at chemical engineering, civil engineering, and aspects of mechanical engineering.” Read the article. 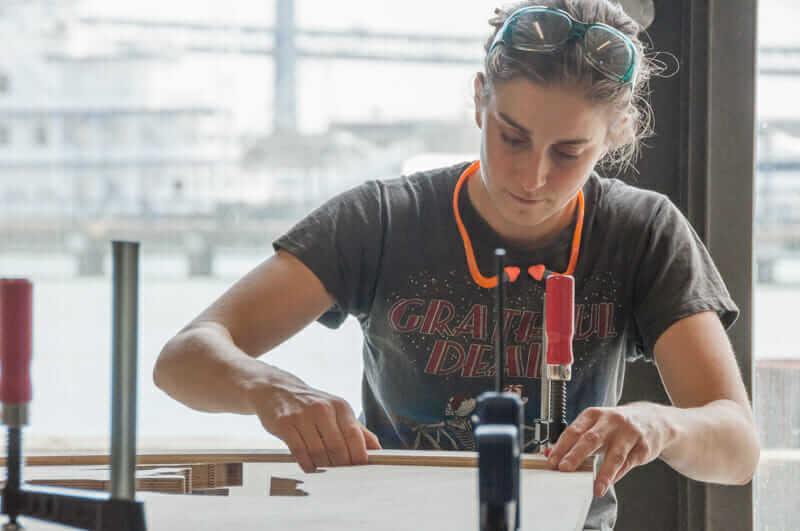 This article highlights programs that train students in impact design, a cross-disciplinary methodology that promotes positive environmental, social, and economic change through design and engineering. Olin College in Needham, Massachusetts, offers Affordable Design and Entrepreneurship; University of California, Berkeley’s Blum Center has launched “Hardware for Good” as part of its Big Ideas@Berkeley student competition; Designmatters at ArtCenter College of Design in Pasadena, California, brings “a dynamic, entrepreneurial, and experiential approach to design education”; and India’s Srishti Institute of Art, Design & Technology’s Impact Edge program “works at the confluence of business strategy, design thinking, technology, and capital to solve ‘wicked problems’ with design-driven solutions.”Read the article. Old ways die hard. Institutions can often be hidebound to change. And that can cause a roadblock in funding for the out-of-the-box thinking required by sustainable design and impact design. But organizations such as Oakland, California–based Net Impact and Hadley, Massachusetts’ VentureWell are inspiring students to break down walls and encourage faculty, student, and business connections.Read the article.